It’s Great British Game Week, and we are sharing with you this simple and versatile recipe from BBC Good Food. Venison is a lean meat, and as such is often considered a healthy option if you’re a meat eater. Perfect for slow cooking, venison is also readily available in season in the UK. Please support your local butcher, and talk to them to help you source local and ethically produced game. You can find more game recipes at Taste of Game. 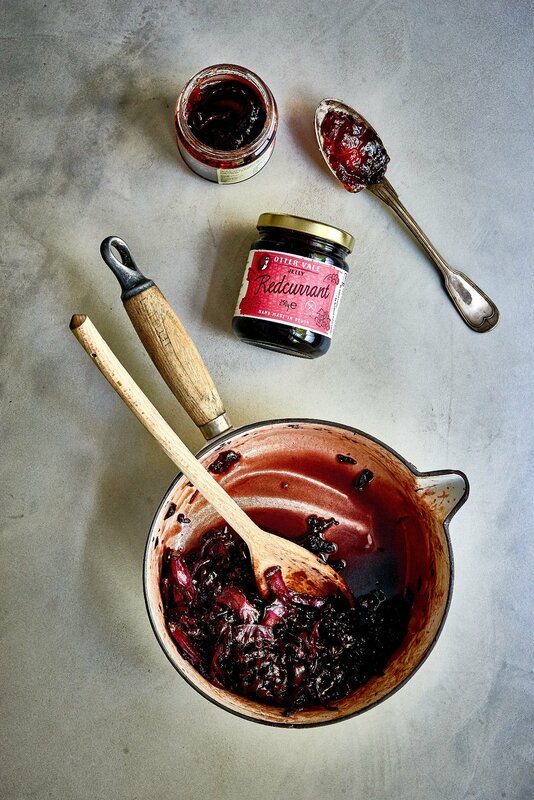 This recipe gives you the option of using redcurrant jelly, or the classical pairing of rowanberry jelly. If you make these yourself at home, kudos to you and we’re with you all the way – we make our own too. If you haven’t, if you’ve run out, or you fancy trying something different, Otter Vale can help. 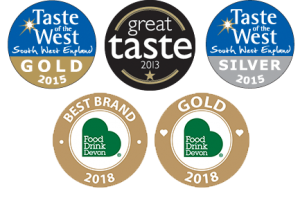 Our Redcurrant Jelly has won a 2018 Food Drink Devon Gold Award, and (Mrs. Otter Vale’s preference when it comes to accompanying venison) our Rowanberry Jelly won a Taste of the West Highly Commended award in 2016. 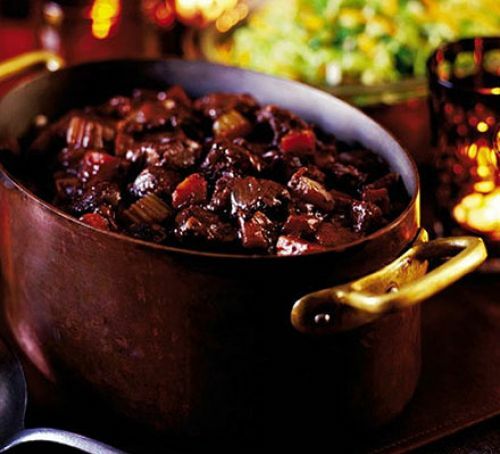 BBC Good Food’s Succulent Braised Venison with Redcurrant or Rowanberry Jelly – which will you try?! Takes 15 minutes to prepare, just under 2h to cook, and serves 8 – depending on how hungry you and your family or guests are! Heat oven to 180C/fan 160C/gas 4. Fry the vegetables in a little oil and butter in a heavy-based casserole for 4-5 mins until golden. Tip in the garlic and fry for a further min, then set aside. Put the venison into a plastic bag with seasoned flour and shake to coat. Add a little more oil and butter to the pan, then fry the venison over a high heat, stirring now and then, until well browned. Don’t crowd the pan – cook in batches if necessary. Set aside with the vegetables. Add the redcurrant (or rowanberry!) jelly and wine to the pan, and bring to the boil, scraping up all the bits that have stuck to the bottom. Pour in the stock, then add the thyme, bay leaf, meat and vegetables. Season if you like and bring to the boil. Cover and transfer to the oven for about 1½ hrs or until tender. Remove from the oven and check the seasoning.